“People who are really serious about software should make their own hardware.” Said Alan Kay, a Turing Award winner. YU Kai was delivering a speech. PHOTO: Credit to Horizon Robotics. Tesla released its own chips in August 2018 to replace Nvidia Drive PX2 systems used for AutoPilot 2.5-equipped cars. It’s been three years of their companionship. By combining algorithm and hardware together, not only Tesla is capable to bring customers more efficient and more powerful autonomous driving experience, but save billions paying for Nvidia. However, it's a risky step for OEMs considering the huge amount of investment and long development cycle, especially in China. Thus, many Chinese AI startups are working on software rather than hardware. But Horizon Robotics started their business in the opposite direction, dedicated to building a one-stop-shop AI solution. Founded by Dr. Kai Yu, who used to be the Head of Baidu Institute of Deep Learning, the company develops chips and algorithms at the same time, focusing the applications in security cameras and autonomous cars. Yu's mission is to build the “Android of Robotics,”a pervasive AI system that powers all of our smart devices. The company's products are built upon Brain Processing Unit (BPU), which is a proprietary and high-performance AI processor architecture independently developed by Horizon to combine AI algorithms and hardware design, according to Robotics And Automation New. The technology roadmap of BPU can be defined as three types of architecture, including Gauss architecture, Bernoulli architecture and Bayes architecture. Horizon unveiled Gauss-architecture-based processor Sunrise 1.0 and Journey 1.0 in 2017, facilitating smart city &business and mobility respectively, and recently Bernoulli-architecture-based Journey 2.0 and Matrix 1.0 in 2018. Journey 1.0 is applicable to L2 ADAS (Advanced Driver Assistance System), for example, FCW(Forward Collision Warning), LDW(Lane Departure Warning) and ACC(Adaptive Cruise Control) etc. It has detection accuracy of more than 99 percent for vehicles, pedestrians, lane lines and traffic signs. It can process 1080p@30fps in real time and can detect, track, and identify 200 targets simultaneously in each frame while consuming 1.5 watts. Matrix 1.0, an autonomous driving computing platform using Journey 2.0 processor, can process 720p@30fps in real time and while consuming 31 watts, and support multi-sensor fusion and provide L3 AD solution and L4 AD solution for defined areas, building the brain for autonomous driving vehicles. Currently, the volume of the production is escalating gradually and in the stage of minor mass production. In general, they divide their embedded AI solutions into three parts, perception, modeling and decision making. In the stage of perception, they use the structural deep neural network for highly efficient and comprehensive computation and the method of deep learning to achieve environmental perception and object detection, recognition and movement prediction. Next is modeling, where the system collects data from different and independent physical sensors and structure semantic 3D environment modeling with the help of Camera, Radar, Lidar and Map. The last is decision-making and trajectory planning. Horizon Robotics is working on their third generation production equipped with rational decision-making system, comparing to traditional end-to-end model, it will be more transparent, traceable and inferenceable according to iFenxi. Based on 40-nanometer technology, same as MobileyeQ3, the typical power of Sunrise 1.0 and Journey 1.0is 1.5 watts while MobileyeQ3 is 2.5 watts, corroborating what Horizon Robotics claimed their products as “low power”. DRIVE PX Xavier can deliver 30 TOPS(trillion operations per second) of performance while consuming only 30 watts of power which is available Q1 of 2018, while Journey 2.0 can deliver 10 TOPS consuming 31 Watts.It will take a fairly long time for the company to catch up with Nvidia in the future. Horizon bills itself as the only Chinese self-driving startup collaborating with leading OEMs and Tier 1 companies in the top four automotive markets (US, Germany, Japan and China), and it has closely cooperated with the local partner Horizon Robotics to equip licensed test cars with hardware and software for autonomous driving. With the assistance of Horizon, Audi received its first test license for autonomous driving (level 4) on public roads and city highways in Wuxi on 14 September 2018. Bloomberg reported that the company is looking to have autonomous test cars on Chinese roads by 2019. To retrospect the ZTE crisis, putting the future of a USD 17 billion company and 75,000 jobs at risk. China has already committed USD 150 billion to build its domestic semiconductor industry over the next decade via the Made in China 2025 development programme. It seems that China is not lack of sufficient capital and consumer market, but the way will not be easy. According to South China Morning Post, even if there are Chinese chip makers focusing their chip efforts on devices to enable artificial intelligence (AI) applications, such as neural network processors and graphics processors, as well as special-purpose reprogrammable chips, but analysts say they are at least 10 years behind the west. "Doing it from scratch is a very, very high bar to figure out," said Chris Thomas, head of the Asia semiconductor practice at consultants McKinsey, reported by Financial Times. After all, we are glad to see Horizon Robotics is already heading out. 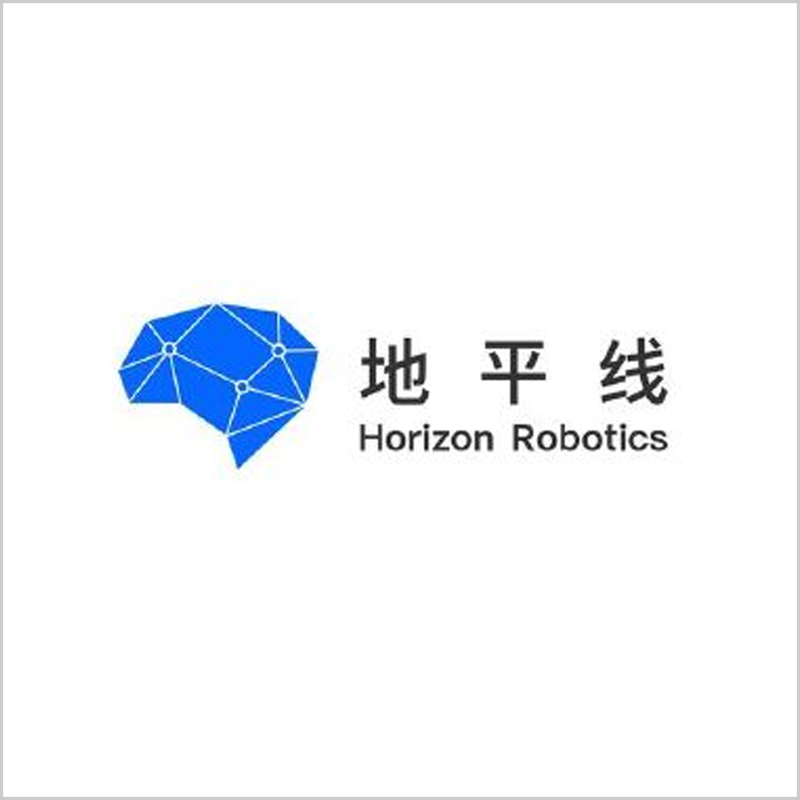 Horizon Robotics is the leader of embedded Artificial Intelligence.